Founded shortly after 9/11, Liberty Ammunition is a world leader in lead-free ammunition, and the sole pursuit has been to develop the world’s highest performing ammunition. Liberty Ammunition holds multiple small arms ammunition patents. Using this patented technology, Liberty Ammunition has developed ammunition with exceptional accuracy and performance. Liberty Ammunition entered the civilian market with the highest performing ammunition in the world. Providing superior personal protection and to enhance the game hunting experience. Through our committed pursuit to innovation and quality. Liberty Ammunition offers a broad range of products for the military, law enforcement, civilians, and hunters. Ammunition that is lead-free, monolithic hollow point ammunition with increased velocity, accuracy, and barrier penetration in the following calibers. 380 Auto, 9 mm, 40 S&W, 45 ACP, 10 mm, .357 Magnum, .38 Special, 45 Long Colt. We have created extremely accurate personal defense ammunition with reduced recoil in comparison to traditional hollow point ammunition. Our ammunition has unparalleled stopping power and terminal effects. Liberty Ammunition’s products are all new production, non-corrosive, and require no weapons modifications. Provides state-of-the-art tactical ammunition to the US military, our allies and law enforcement. 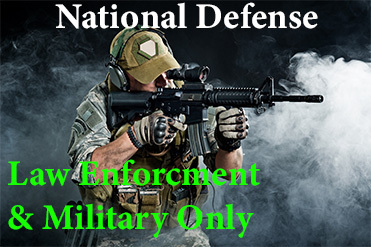 Available to military and law enforcement agencies, the National Defense line has 9 mm, 4.6 mm, and 5.56 mm with more calibers coming soon. Liberty Ammunition specifically designed its ammunition to save the lives of service members serving abroad, local law enforcement officers, and civilians around the world.